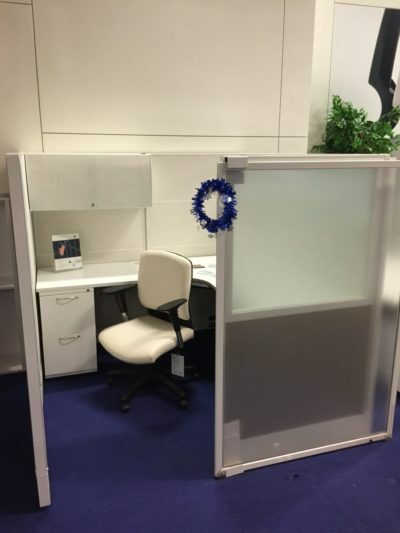 Searching for a pre-owned Haworth cubicle? 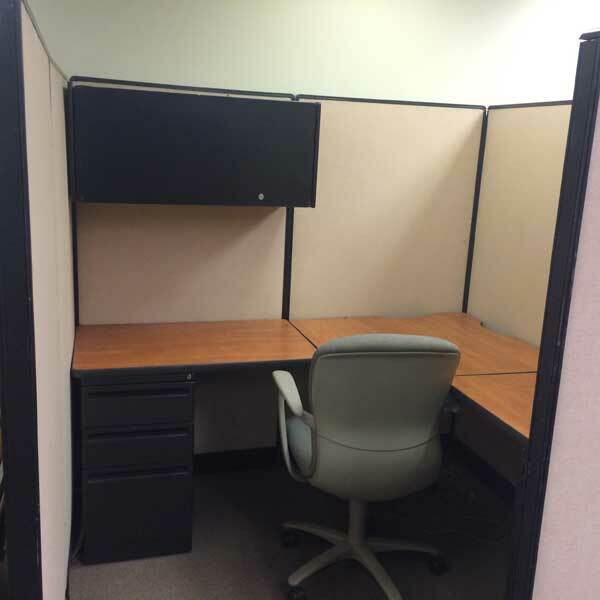 Office Liquidation has a impressive selection of biege,mahogany,black cubicle available in our huge Orlando cubicle warehouse. 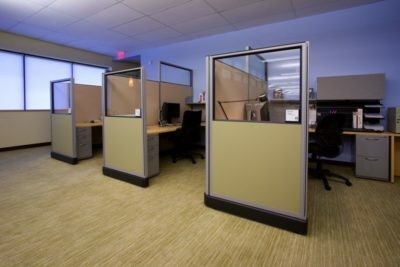 You will find the best quality on used Haworth cubicle. We are Orlando’s reconditioned cubicle source. 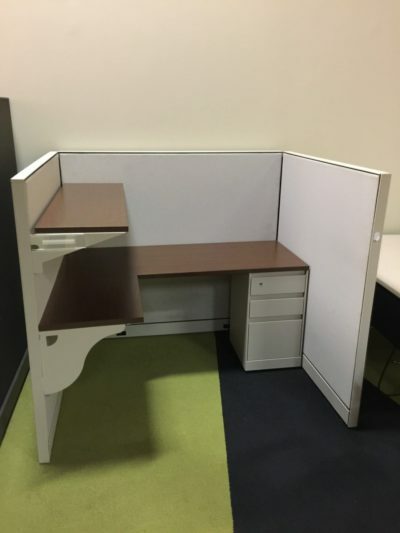 Pick up reconditioned Biege,Mahogany,Black cubicle by Haworth at Office Liquidation in Orlando. 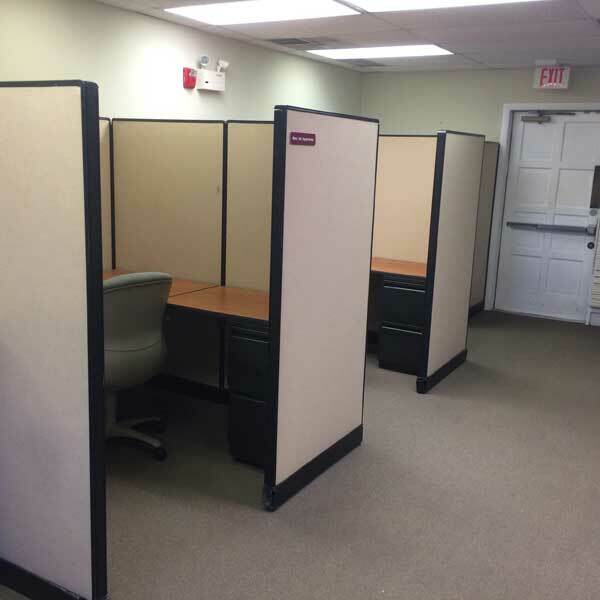 This is a 3 pack of cubicles which are side by side. Two of them are 6×6 with a b/b /f and an f /f. In addition they have an overhead bin for storage. 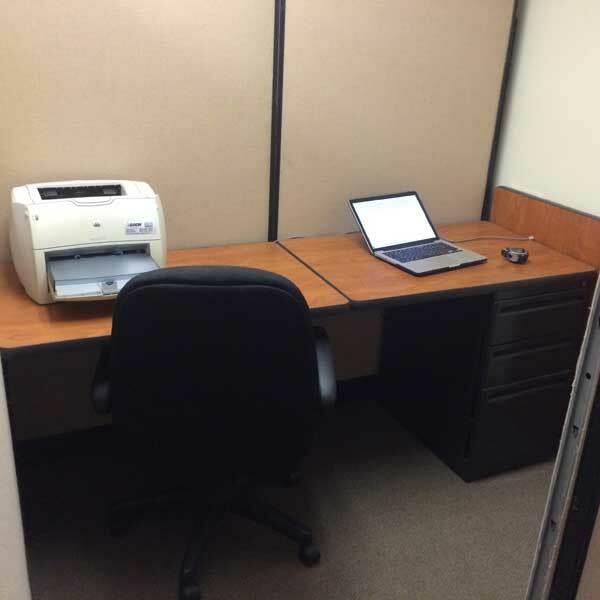 The final workstation is 6’x4.5′ and has a box/box/file.